Madeira is one of those places that once someone sees some pictures, it is an instant sell. From wine to outdoors, this place has a little bit of everything and it is fairly easy to access from the UK and continental Europe. Here are a few of the highlights you can choose from on your holiday in Madeira. I’ve heard Madeira be referred to as a replica of the Garden of Eden, and standing on top of Cabo Girão (pictured above), you can see why. One of the world’s highest ocean cliffs, it feels like the top of the world, without the need for equipment and expertise to get to the actual highest point in the world. 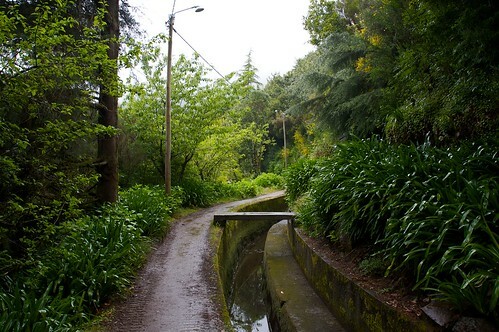 The cliff is representative of one of the best things to do in Madeira: exploring the outdoors. You don’t necessarily need to trek up the sides of mountains to enjoy yourself – there are hikes and trails for all sorts of fitness levels, or you can just spend your time strolling along the waterfront promenade. Ponta de São Lourenço is a popular hiking area, as it is part of a Nature Reserve. You’ll find weird and unique plants here as well as beautiful volcanic rocks and black beaches. Funchal also has a fabulous botanical garden that is worth a visit. And bird watchers have lots of options for tours and opportunities to explore. Madeira is an autonomous region of Portugal – Portuguese explorers found it back in the early 1400s, and apart from a few years of British rule, the island has been under the watchful eye of its closest European neighbour. Over those decades the island has gathered several relics of its history which you can explore today. One of the most interesting is the Levadas – an aqueduct network that was established in the 1900s to pipe water in from the mountains to irrigate crops. Several are accessible via walking trails that make for great walks and learning. Another way to pay homage to Madeira’s history is via food – the island has long tried to be self-sufficient in terms of food, so there are several local treats worth investigating. The tastiest is the ‘bolo de mel’ (honeycake), made out of molasses made from local sugarcane. The other is a black scubbardfish: you probably aren’t surprised to see seafood on the list, but you’ll have a hard time finding scubbardfish elsewhere so why not give it a try. Speaking of food, you simply cannot leave Madeira without trying some wine, which is well regarded as some of the best produced in Europe. 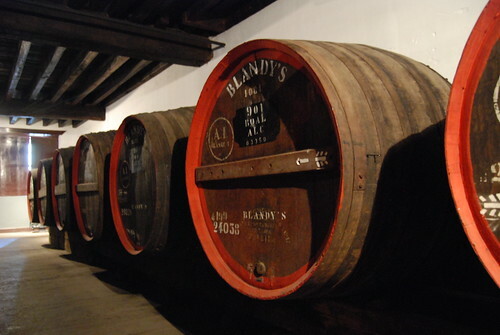 Madeira is a fortified wine, which means it is distilled with a liquor added to it; if you’re not familiar with Madeira wine, it’s somewhat similar to port. Like any wine, Madeira comes in many shapes and sizes – there is drinking wine that makes for an excellent aperitif before your dinner, or sweet Madeira that goes best after a meal. If you’re definitely interested in the history and background of Madeira wine, I suggest you point yourself towards the Madeira Wine Institute, across from Funchal town hall. There you’ll find a free museum and loads of literature about the wine, including some great brochures that explain what wineries offer tours and tastings, as well as routes to go exploring. There are lots of options, so just ask the staff if you want recommendations. Golfers will find the beautiful ocean views and peaceful atmosphere of Madeira perfect for a game of golf or two. While I can’t proclaim to be an expert (or even an amateur for that matter), three names come up often when the conversation comes up: Santo da Serra, and Palheiro. If you’d rather get wet instead of practicing your swing, how about some watersports? There are sailing options (both larger tours as well as smaller cruising boats), snorkelling (the water is chilly so opt for the wetsuit), or scuba diving (this was an active trade route at one time, so there are lots of shipwrecks). Or, you could just find a beat, sit and relax. After all, that’s what Madeira is all about – finding your perfect thing, and doing it.